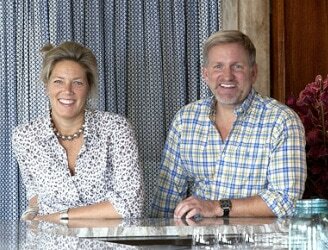 Susan Stacy, Jim Gauthier - Gauthier Stacy, Inc.
Gauthier/Stacy, Inc. was founded in 1996, after its two principals worked together at a prominent Boston-based interior design firm. In the ensuing years they have built a team who bring not only expertise to the job, but passion and enthusiasm for what they do. The staff of eight includes two Principals, an Architect, three Project Captains and two administrative staff. Together, they have transformed a former industrial space, in Boston's South End, into their studio. Over the years, they have had the joy of participating in the design of an exotic penthouse off the coast of Florida, an Adobe-style home in Arizona, a Normandy-themed home in Tennessee, a gentleman's farm house in Vermont, a New York City penthouse, a yacht club on Nantucket, beach homes on Cape Cod, as well as numerous other residential and unique commercial projects across the United States. Interior design photography by Sam Gray.